Have you heard of the term "Shadow Inventory" and wondered what it meant? 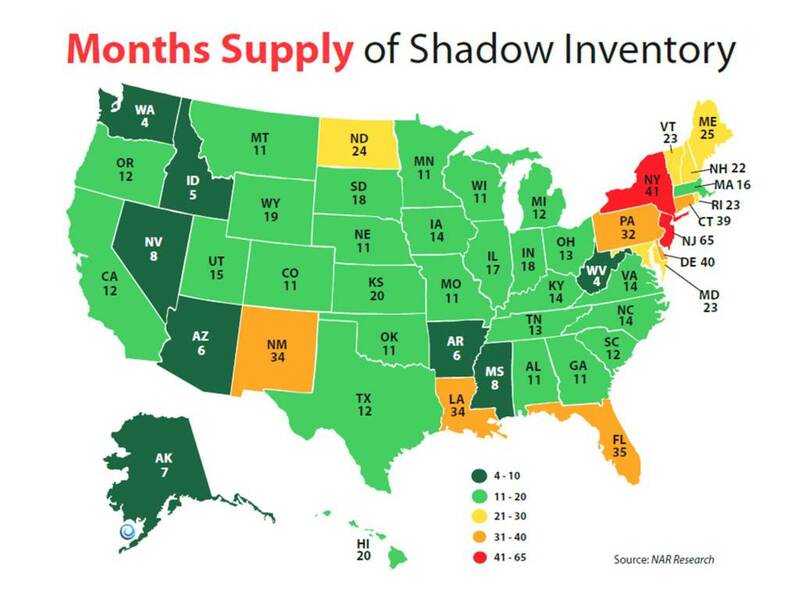 Below is a picture showing month's supply of inventory by state--this data is taken from the latest NAR (National Association of Realtors) from Nov 2011. Virginia is shown to have a 14 month supply. Expect to see more of this shadow inventory released this year and in 2013 as a result of the national mortgage settlement which gives guidelines on how banks are to proceed with foreclosure.